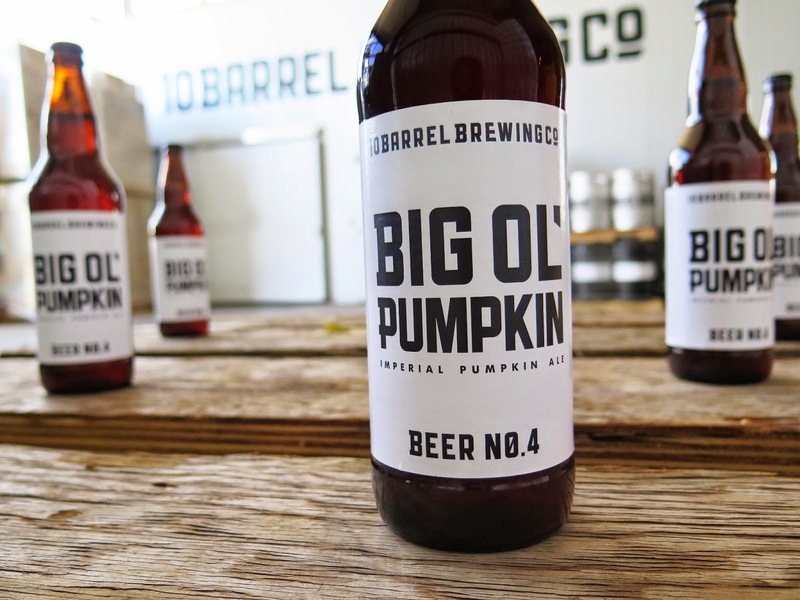 Portland Craft Beer: 10 Barrel Brewing releases "Big Ol' Pumpkin"
10 Barrel Brewing Co. will be releasing their latest beer in their ultra-rotational 22oz bottle series “Big Ol’ Pumpkin” This beastly Imperial Pumpkin Ale comes in at 9.3% and is brewed with over 14 lbs. of organic pumpkin per barrel and finished off with Cinnamon, Nutmeg and All Spice. This limited release beer is available on tap and in bottles at their Bend and Boise pub now. Just in time for the fall season Big Ol’ Pumpkin 22oz bottles will hit shelves and limited kegs on draft around OR, ID and WA in the coming weeks.